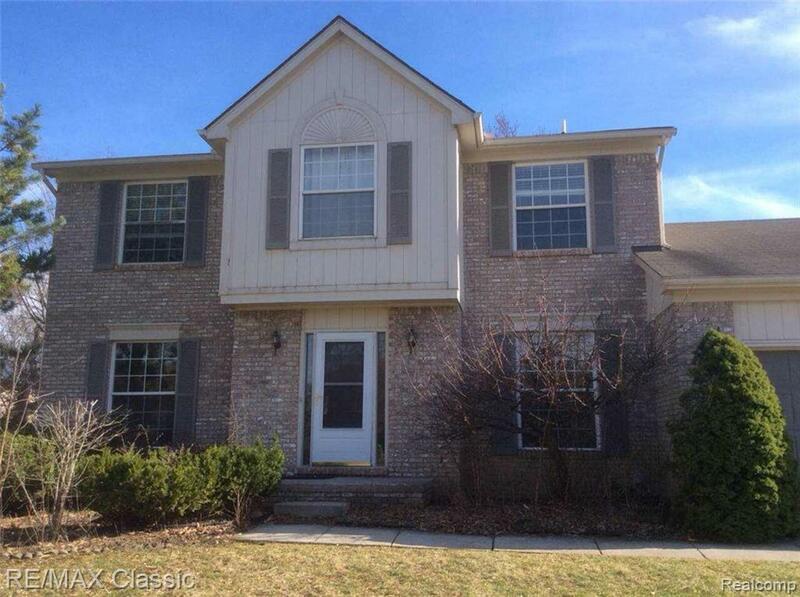 NICE AND CLEAN 4 BEDROOM, 2 & HALF BATH COLONIAL BACKS TO A TREE LINED LOT. EASY MAINTAIN NEWER LAMINATE & HARDWOOD FLOORS ON THE FIRST FLOOR, BRAND NEW PREMIUM CARPETS ON 2ND FLOOR. BIG EAT-IN KITCHEN WITH DOOR WALL LEADS TO A PRIVATE BACK YARD. SPACIOUS FAMILY ROOM WITH GAS FIREPLACE. CONVENIENT FIRST FLOOR LAUNDRY. MASTER SUITE WITH BIG WALK-IN CLOSET, SEPARATE SHOWER & TUB. 2 CAR ATTACHED GARAGE. SPRINKLER SYSTEM. MINUTES TO 12 OAKS MALL AND EXPRESS WAYS. AWARD WINNING NOVI SCHOOLS. LONGER TERM LEASE PREFERRED. 1.5 MONTH SECURITY DEPOSIT. $300 NON-REFUNDABLE CLEANING FEE. Copyright 2019 Realcomp II Ltd. Shareholders. Real estate listings held by brokerages other than The Toth Team - Keller Williams Ann Arbor Market Center are marked with the Realcomp-approved IDX logo and are provided through IDX through Realcomp II Ltd. IDX information is provided exclusively for the consumers' personal, non-commercial use and may not be used for any purpose other than to identify prospective properties consumers may be interested in purchasing. Any use of search facilities of data on the site, other than by a consumer looking to purchase real estate, is prohibited. The accuracy of all information, regardless of source, is not guaranteed or warranted. All information should be independently verified. Data last updated: 2019-04-25T22:56:54.637. © 2019 Ann Arbor Area Association of Realtors Multiple Listing Service. All rights reserved. IDX information is provided exclusively for consumers' personal, non-commercial use and may not be used for any purpose other than to identify prospective properties consumers may be interested in purchasing. Information is deemed reliable but is not guaranteed accurate by the MLS or The Toth Team - Keller Williams Ann Arbor Market Center. Data last updated: 2019-04-25T23:12:24.39.